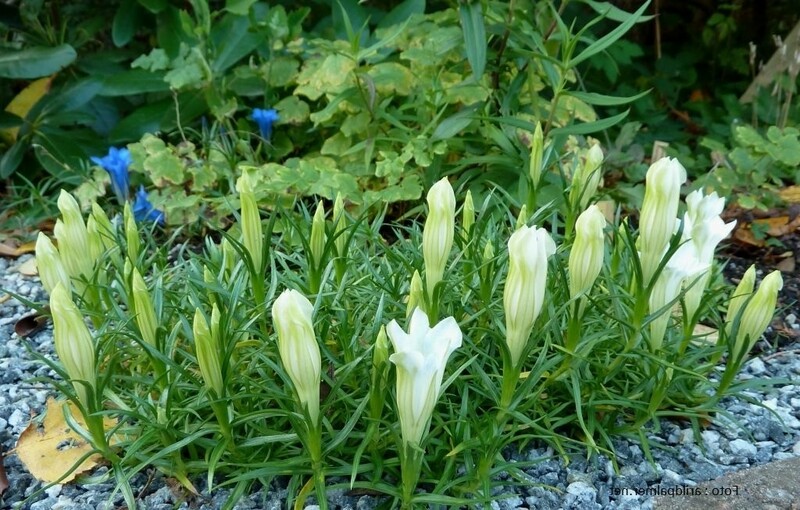 This beautiful low growing herbaceous perennial plant is one of the easiest forms of Gentian to grow, and also reliable to bloom. 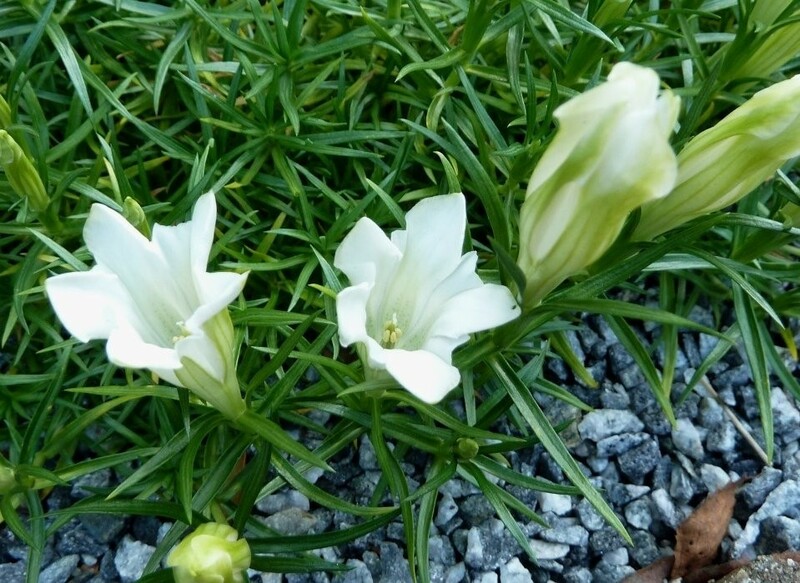 Spectacular 5cm (2in) ice white trumpet-shaped flowers appear in early and mid-autumn, protruding on very short stalks from a mat of carpeting foliage, which has an almost mossy texture to it. Supplied in approx 1 litre containers, full of buds and flowers in season. 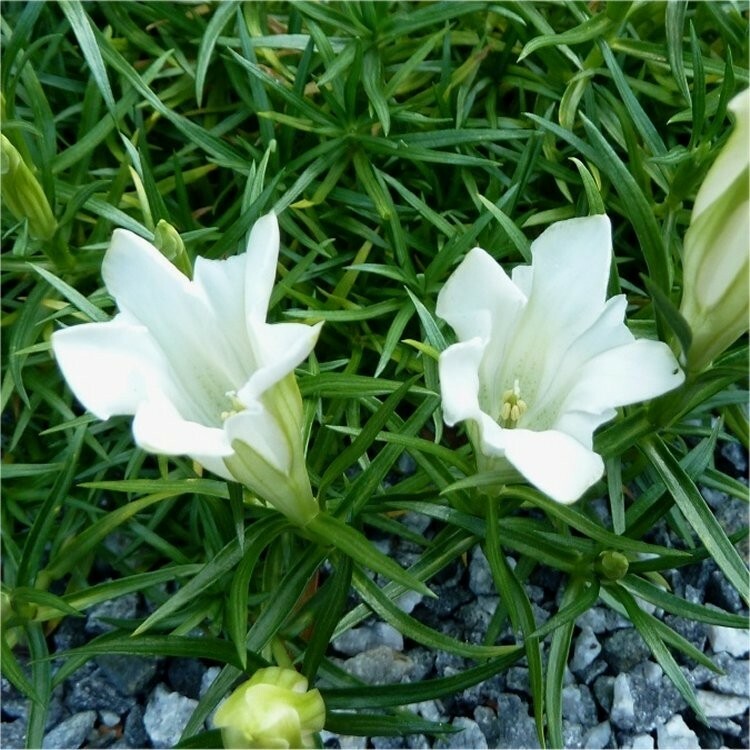 They can be grown in patio containers, an old sink, between paving stones, in dry-stone walls or in a rockery - so are perfect for small, modern gardens, patios or balconies or simply at the front of a garden border.